Four issues of Der Yud magazine of all Jewish topics. * Issue 34, Krakow, August 23 1900 - extensive coverage of the Zionist Congress ['ציוניסטען קאנגערס']. 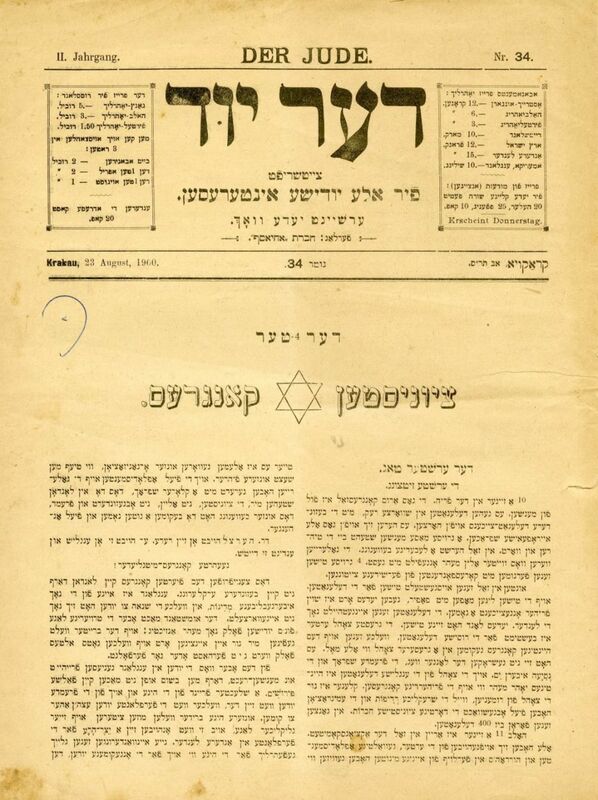 * Issues 48-49, Krakow, December 5, 1901 - festive issue published to celebrate Chanukah.